Redmond’s giants released a fix it solution ( Here ) as a temporary workaround for the un-patched vulnerability and newly discovered Windows vulnerability that criminals are exploiting to extract information out of critical infrastructure computer systems. 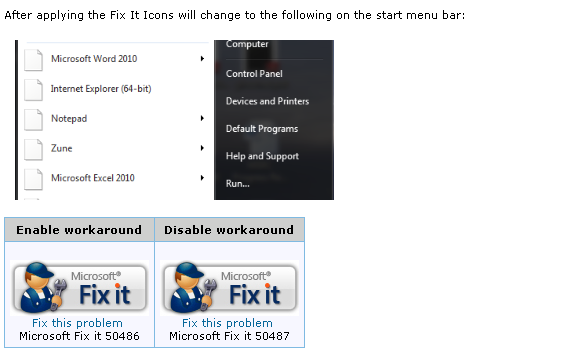 Applying the fixit will remove the graphical representation of icons on the Task bar and Start menu bar and replace them with white icons without the graphical representation of the icon. The bad news is that you will need to restart your machine,I am not sure if the restart part comes at no cost to critical infrastructure operators. Note: For all the good folks out there still on Windows 2000 or Windows XP SP2 – start praying – because Microsoft will not be helping you. I first came to hear about this new SCADA malware via mikko hypponen (CRO at F-Secure) twitter account. This is an interesting new malware that spreads via USB storage devices exploiting a previously unknown flaw in Windows shortcuts. What’s particularly interesting is that this malware appears to be targeting SCADA systems specifically ( in this case Siemens SIMATIC WinCC). 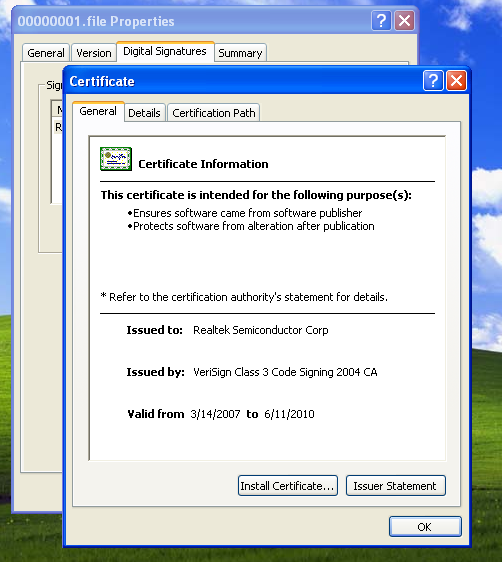 The rootkit components are digitally signed by a valid yet expired Realtek Semiconductor Corp. signature. The malware targeting the Siemens SIMATIC WinCC database appears to use a hardcoded admin username and password combination that end users are told not to change. (according to the F-Secure Blog). Its only fair to say that any company infected with this attack is completely vulnerable to this compromise. Mistake # 2: The passwords wich are supposed to be confidential have been circulating the public forums and on Siemens very own forums for at least 2 years now. In some of the posts Siemens asks the operators who try to change those passwords – Not to do it !! Mistake # 4: I am really surprised with how easy for any one to find a good and Looong list of Famous companies using the WinCC , all you need now is to slip in a thumb drive. Immediately upon notification of the virus on July 14, Siemens assembled a team of experts to evaluate the situation and began working with Microsoft and the distributors of virus scan programs to analyze the virus. The Trojan/virus is spread via a USB stick, using a security breach in Microsoft Windows. The virus, which affects operating systems from XP upward, detects Siemens WinCC and PCS7 programs and their data. Siemens has now established through its own tests that the software is capable of sending both process and production data via the Internet connection it tries to establish. However, tests have revealed that this connection is not completed because the communication partners/target servers are apparently inactive. As part of the ongoing analysis, Siemens is checking to see whether the virus is able to send or delete plant data, or change system files. We are informing our customers and investigating how many systems could be affected. Currently, there is only one known case in Germany of infection which did not result in any damage. We do not have any indication that WinCC users in other countries have been affected. What platforms are affected/may be affected? Based on current information, the only platforms that may be affected are those where access to data or the operating system is possible via a USB interface. Normally every plant operator ensures, as part of his security concept, that non-restricted access to critical SCADA system data via a USB interface is not possible. Additional protective devices like firewalls and virus scanners can also prevent Trojans/ viruses from infiltrating the plant. •	Microsoft will be offering an update (patch) that will close the security breach at the USB interface. •	Suppliers of virus scanning programs have prepared up-to-date virus signatures that are currently being tested by Siemens. The virus scanners will be able to help detect and eliminate the virus. What immediate action should customers take? •	Install updates as soon as they become available.